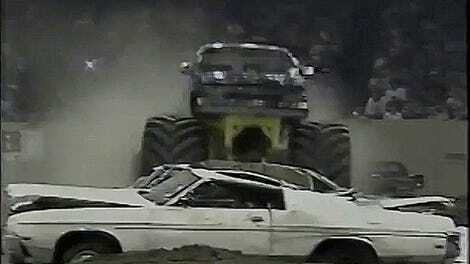 Monster trucks crash as part of their performance and they’re built to take a beating. That’s why it’s so unsettling to hear Dennis Anderson, creator of Grave Digger and arguably the sport’s most famous driver, was hospitalized after flipping his rig in the middle of a performance. 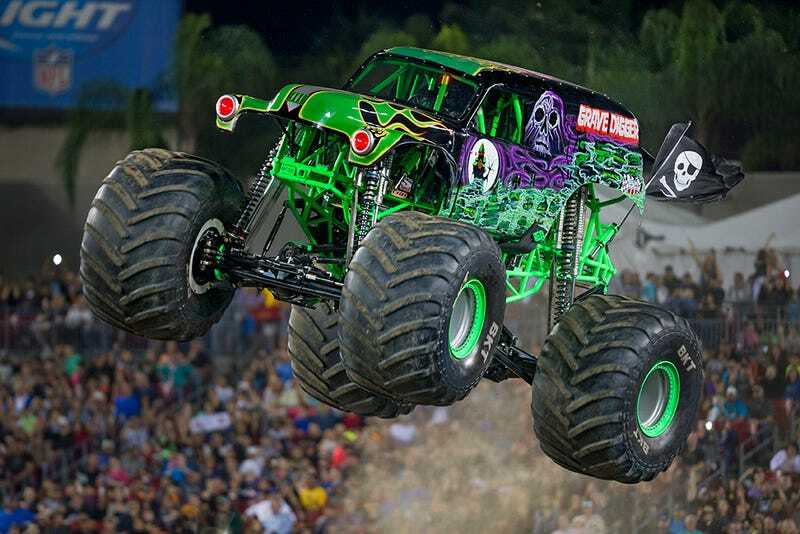 The North Carolina Outer Banks Voice newspaper reports that Grave Digger wiped out during a freestyle lap at the Raymond James Stadium in Tampa, Florida. As you can see from these fan-shot videos, the truck tried to do a backflip off a ramp but didn’t have enough speed to complete the stunt and landed on its roof instead of its wheels. Grave Digger runs a 540 cubic-inch engine pushing 1,500 horsepower to four tires that are 66-inches tall. And another fun fact: those wheels are actually tied to the truck’s axles with steel braided cable to prevent them from flying into the stands in the event of a crash. It doesn’t look like much of Grave Digger actually came apart in Anderson’s incapacitating crash in Florida, though. The truck had already shed its body by the time it made its failed flip, but the impact did look pretty brutal and direct. For those of you who don’t watch monster trucks regularly, first of all, you don’t know what you’re missing. But even if you don’t follow this ridiculous(ly entertaining) sport I bet you’ve heard of Grave Digger. Anderson has been a mainstay of Monster Jam for pretty much as long as it’s been a commercial enterprise. In fact, Monster Jam just acknowledged Grave Digger’s 35th anniversary a few days ago. Here’s hoping Anderson has an expedient recovery.